Sprint Galaxy Nexus Orders Arrive Early, Device Running Android 4.0.4 – Ummm, Hello Verizon and Google? 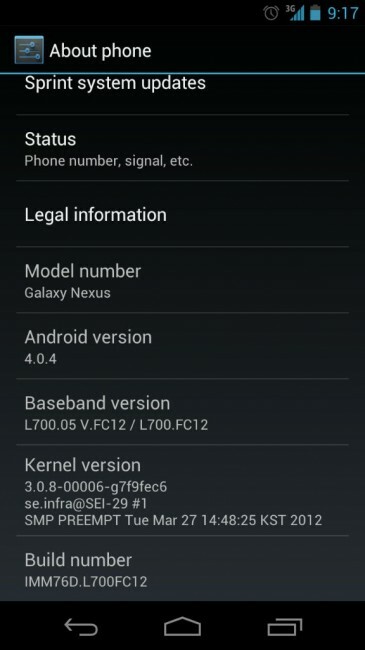 A few orders for the Galaxy Nexus on Sprint started to arrive yesterday and one thing in particular stood out to us – it’s running Android 4.0.4. 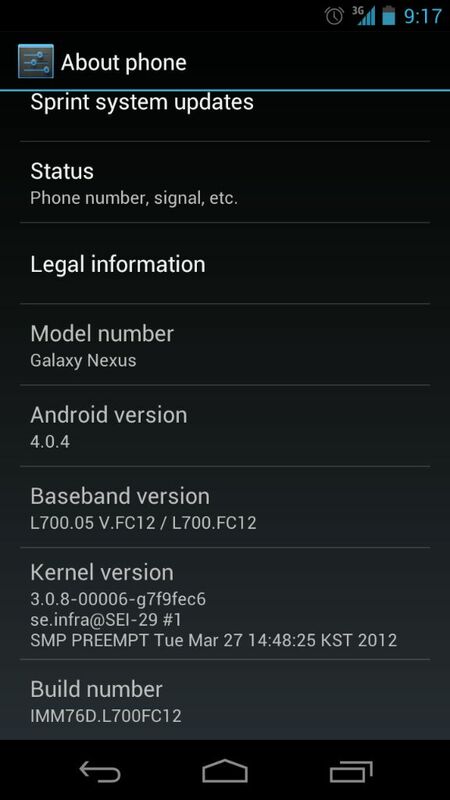 Yes, that would be a newer build of Android than your Verizon Galaxy Nexus is “officially” running. As you are all aware, we are almost through April, which means that the Nexus on Big Red has not seen an update in almost 5 months. No, sir. On launch day, it received a bump to 4.0.2, which introduced mic dropping during calls, s****y reception, rebooting, slow rotation speeds, poor battery life, and other bugs upon other bugs. Yeah, I’m basically calling the update a pile of junk, yet here we are almost 5 months later with no fix in sight. But! The Sprint version, which is identical to the Verizon version in that it runs on CDMA and LTE networks has a newer version of Android that squashes many of them and improves performance immensely. How do I know? Well, I have been running the leaked 4.0.4 on my VZW Nexus for over 2 months now and have not had any of those problems. So Verizon and Google, what’s the hold up? Are we geting 4.0.5 instead like some have reported? Hell, I don’t even care if it’s 4.0.3, but there are some incredibly serious bugs that are driving Nexus owners mad (yes, we hear from them daily), many of which have given up on the device completely. And yes, I understand that it’s a Nexus and people could just root it and flash a ROM to fix problems. But remember that many people bought this phone because they like stock Android and were expecting to receive timely updates as had been the case in all previous Nexus devices, rather than for its dev community.